All That Gains, Falls — The monster January 2012 rally comes to a halt. U.S. consumer confidence as measured by the Conference Board declined to 61.1 in January, missing economist projections for a gain. Economists polled by Bloomberg were expecting the figure to rise to 68.0, from an upwardly revised reading of 64.8 in December. Retreat — Instead, it fell 3.7 points, as both future and present confidence indexes descended. The number of consumers who said that business conditions were good, declined to 13.3 percent from 16.3 percent. At the same time, Americans said it was harder to get a job in January. It’s how Communist deal with markets, remind you of anyone? Chinese asset values have not yet crashed across the board, but the buying of gold—a leading indicator of panic—is an especially troubling sign that they will. Therefore, it is not surprising that gold purchases by Chinese citizens and investors are frightening Beijing’s technocrats. At the end of last month, December, they shotdown all of the countries gold exchanges other than two of them in Shanghai. Makes you want to go hmmmm…. This month, the Hong Kong Census and Statistics Department reportedthat China imported 102,779 kilograms of gold from Hong Kong in November, an increase from October’s 86,299 kilograms. Beijing does not release gold trade figures, so for this and other reasons the Hong Kong numbers are considered the best indication of China’s gold imports. The euro area1 (EA17) seasonally-adjusted2 unemployment rate3 was 10.4% in December 2011, unchanged compared with November4. It was 10.0% in December 2010. 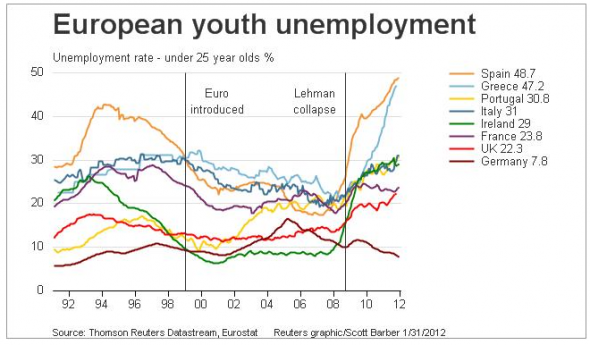 The EU271 unemployment rate was 9.9% in December 2011, also unchanged compared with November4. It was 9.5% in December 2010. Among the Member States, the lowest unemployment rates were recorded in Austria (4.1%), the Netherlands (4.9%) and Luxembourg (5.2%), and the highest in Spain (22.9%), Greece (19.2% in October 2011) and Lithuania (15.3% in the third quarter of 2011). Compared with a year ago, the unemployment rate fell in fourteen Member States, remained unchanged in Ireland and rose in twelve Member States. (18.3% to 15.3% between the third quarters of 2010 and 2011). The highest increases were registered in Greece (13.9% to 19.2% between October 2010 and October 2011), Cyprus (6.1% to 9.3%) and Spain (20.4% to 22.9%). Oh wait, that’s not the Zombies, That’s Obama being fingered … hope it’s not loaded. President Barack Obama touched down on the tarmac on Wednesday, and no sooner than he stepped off Air Force One into the warm embrace of the Arizona sun did Gov. 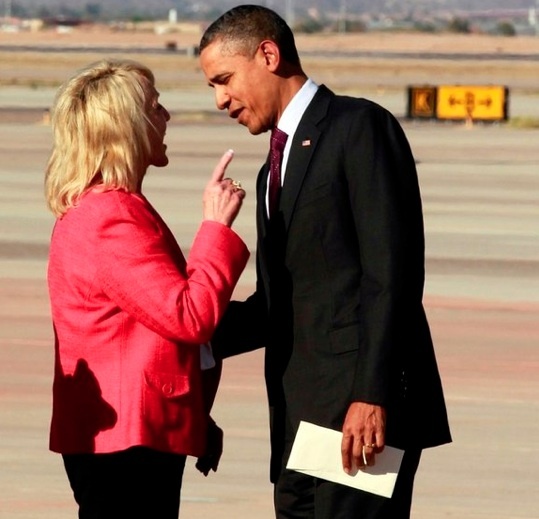 Jan Brewer get in his face. Here’s what we know: Brewer reportedly handed Obama a letter requesting an official meeting about his administration’s handling of illegal immigration. The president then informed her that the last time they met in the Oval Office she had improperly recounted the story in her book, “Scorpions for Breakfast,” in which she criticized Obama for opposing her state’s controversial “Show Me Your Papers” law. Brewer then launched into a bit of a tirade and wagged her finger at the president. You are currently browsing the Tarpon's Swamp blog archives for January, 2012.